How did darts legend Michael van Gerwen fare in the partypoker Big Game? Preceding the 2018 partypoker LIVE MILLIONS Germany, some players are tabulated to lock horns in the partypoker Big Game. determine total GPI Points for 2017. Casino owner Leon Tsoukernik hosted the 36-hour non-stop high-stakes extravaganza, which started off with Pot Limit Omaha before switching to No-Limit Hold'em. Tsoukernik was flanked by the usual suspects and some of the hottest stars at the tables, including Rob Yong, Viktor "Isildur1" Blom, Steffen Sontheimer, Philipp Gruissem, Sam Trickett and crowd favorite Yair "The Wolf" Bitoun. However, one name stood out in particular: Michael van Gerwen. The #1 ranked Darts player in the world is a known poker aficionado and has told PokerNews in earlier interviews poker is one of his favorite pastimes. Playing high-level darts requires laser-sharp focus all the time, and playing poker helps Van Gerwen to ease his mind between the stressful bouts in the limelight. However, the ultra-competitive Van Gerwen isn't one to back down from a challenge. Flown in fashionably by helicopter, Van Gerwen made his way to the Czech town to take his seat in the partypoker Big Game. Check out the three videos below to see how Van Gerwen fared when facing world-class competition at stakes of $50/$100 (and a bunch of straddles). While Van Gerwen entered the Hold'em part of the cash game, it was none other than Tony G. who won the biggest pot in the Omaha portion of the game. 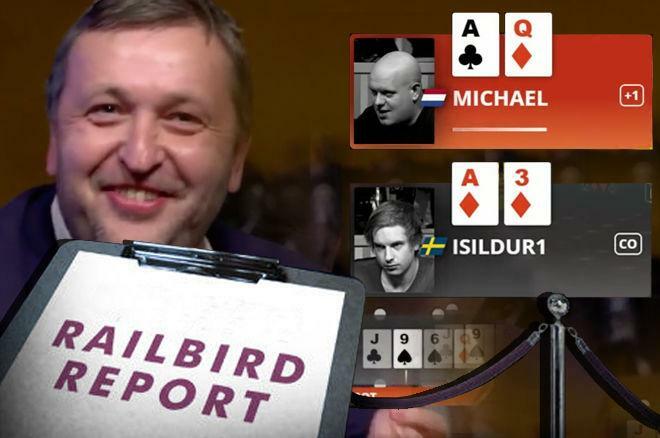 The Lithuanian poker legend, businessman, politician, and PokerNews founder scooped up a pot of over $500,000 by rivering two pair against Rob Yong's pair of aces. While no bikes were involved this time, Tony G. did celebrate the win in classic fashion. Check out a clip of the big hand below. Once again, the battle between Linus "LLinusLLove" Loeliger and "bajskorven87" delivered the biggest post of the week. This week, it was a pair-versus-pair that provided a near six-figure pot at $200/$400 No-Limit Hold'em. In the heads-up match, "bajskorven87" raised to $1,000 on the button, Linus "LLinusLLove" Loeliger three-bet to $4,200 and "bajskorven87" peeled in position. 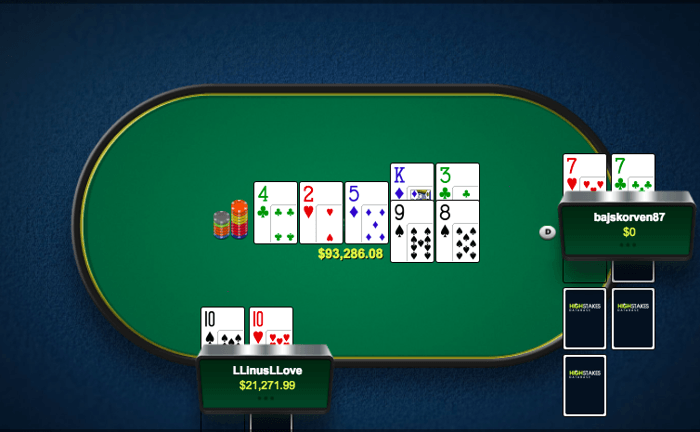 The flop proved to be a catalyst for some hefty action. Loeliger bet $3,358, "bajskorven87" raised to $11,200, Loeliger shoved and "bajskorven87" called all in for $42,443 total. 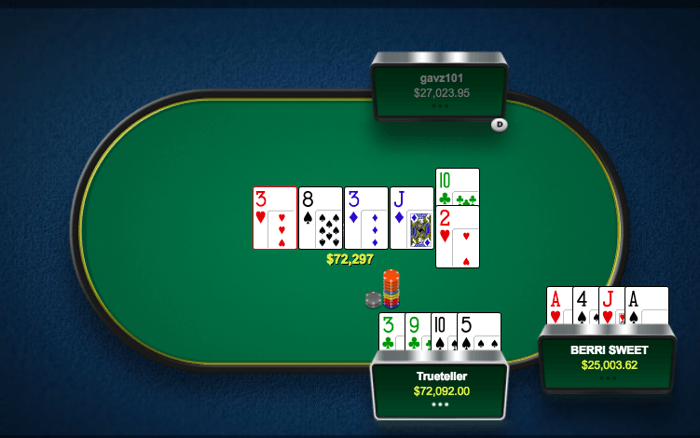 "bajskorven87" was in dire straits with his underpair and needed to hit a seven or running straight cards to win. 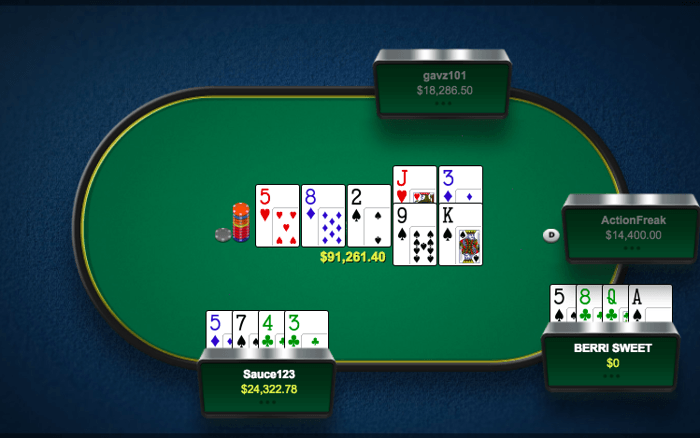 Running the turn and river twice, "bajskorven87" caught four bricks to ship the entire 233 big blinds pot over to Loeliger. Four players battled it out at the biggest Pot Limit Omaha tables PokerStars has to offer. Gavin "gavz101" Cochrane folded first to act, as did "ActionFreak" on the button. "BERRI SWEET" completed the small blind, Ben "Sauce123" Sulsky" made it $1,200 in the big blind, "BERRI SWEET" limp-raised to $3,800 and Sulsky called to see a flop. An rainbow flop got dealt and "BERRI SWEET" checked. Sulsky bet $5,180, "BERRI SWEET" check-raised pot to $22,736, Sulsky moved all in, and "BERRI SWEET" quickly called off $16,504 extra. "BERRI SWEET", holding top two pair, was a big mathematical favorite against Sulsky's pair and straight draws. The first turn and river brought the and , which kept "BERRI SWEET"'s two pair ahead, while the turn and river on the second rundown even improved him to the nut flush. The entire $91,261 pot went to "BERRI SWEET", last year's biggest high stakes winner. 3) Timofey "Trueteller" Kuznetsov wins a $72,297 (181 Big Blinds) Pot from "BERRI SWEET"
While "BERRI SWEET"'s limp-raise in the previous hand paid off, it backfired in a big hand against Timofey "Trueteller" Kuznetsov. With three players at the table, Cochrane folded the button, "BERRI SWEET" limp-raised to $3,800 and Kuznetsov called. The flop brought and "BERRI SWEET" put out a tiny bet of $1,600, which got called. On the turn, "BERRI SWEET" checked, Kuznetsov bet $6,400, "BERRI SWEET" check-raised pot and Kuznetsov shoved for $30,849 total, a little more than "BERRI SWEET"'s raise. The few extra chips got quickly matched. Sulsky's was way ahead with trip treys against "BERRI SWEET"'s pair of aces and his jack. "BERRI SWEET" needed one of the remaining aces or jacks to steal the pot from Sulsky. Neither one appeared on the first river nor the on the second one, and Kuznetsov added the pot of $72,297 to his stack. Despite losing that last pot, "BERRI SWEET" reigned supreme at the high stakes tables last week. The biggest winner of 2017, who scooped up more than $1.7 million dollars in profit last year, added six-figures to his pile of winnings ($127,756). "BERRI SWEET" was followed by "muumipoiss" and "bajskorven87", who also noted six-figure profit scores. Finnish high-stakes legend Ilari "IlariFIN" Sahamies pipped in the top 10 with Bryn Kenney a plus of $54,359. On the flip side; Gavin "gavz101" Cochrane was this week's biggest loser. Cochrane, who started 2018 off on a big heater, dropped $294,578 and lost nearly all of his 2018-winnings in the process. "wilhasha" and "ImagineKing" rounded out the top three in losses, with -$272,970 and -$193,158 respectively. Due to his terrible week, Cochrane has tumbled from the green side of the leaderboard. Leading the way is Alexander "joiso" Kostritsyn, a player not unfamiliar with holding the top spot. Kostritsyn sits on $324,245 in profit in 2018, which has moved him up over the $4 million in winnings lifetime. PLO-specialist "JayP-AA" is second with $257,203, Loeliger follows in third with $255,689. "ImagineKing" holds the dubious honor of being 2018's biggest loss leader thus far. "ImagineKing" has lost $651,262 and tumbled below the $2 million in lifetime losses in the process. Mikael "ChaoRen160" Thuritz had to part with $357,044 this year to make him the second biggest losing player, followed by 2017 WSOP $50K Poker Player Championship winner Elior "Crazy Elior" Sion, who is down $171,055. The above top winning and losing players in online poker for 2018 only takes PokerStars accounts into consideration. All public data courtesy of HighStakesDB.com. If you want to opt out of being listed in this PokerNews update on high-stakes action, send an email with your username to yori@pokernews.com.